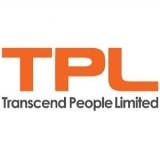 TPL is a rapidly growing company located in Ho Chi Minh City. We remotely perform and complete business processes entrusted by our customers; whom mostly are located in North America, Europe, and Australia. The vision of our founders is: Performance transcends people. We transcend together with everyone involved. Our Core Values are Performance, Passion, and Compassion. We strive to achieve results, learn and grow, and provide an uplifting environment.